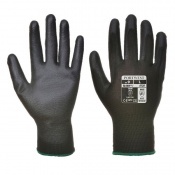 A high quality palm dipped latex coating, makes the Portwest Latex Green Grip Gloves A100GN perform excellently in general handling situations that demand a high amount of grip. 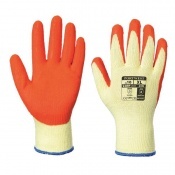 These gloves stand out from the rest, with their breathable, comfortable and mechanically strong design making them a top pick among other grip gloves. Since they use a specially developed crinkle latex grip finish, the Portwest Green Grip Gloves guarantee exceptional grip in all conditions. 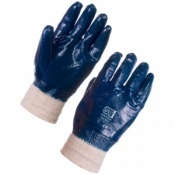 This, combined with their economical price, comfort, and mechanical protection, makes them one of the best grip gloves that money can buy. 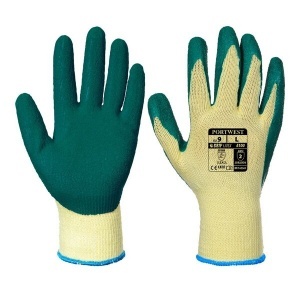 Unfortunately these gloves only lasted a couple of days before the plants we work with had made holes in these gloves. They are nice and cheap but perhaps more suited for amateur-use.